I call this session a bookend. Designed to work on front end pace then the ability to push the pace at the end. This is the key to getting onto some good feet, creating a gap so no one can draft off you and pushing at the end of the swim where most people are getting flat. 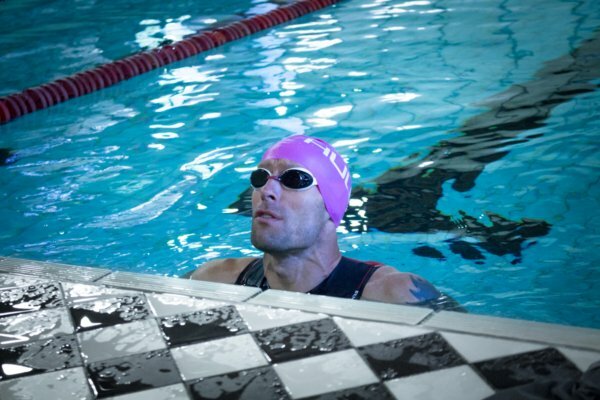 Mark Yeoman is the coach and founder of Viceroys Triathlon Club. Mark has represented Great Britain for many years and has won many races over all distances from sprint to Olympic. He’s also taken first at a number of our events including Woking Triathlon and our Papercourt Aquathlons. Focus on catch & extension for the 1st half then over the 2nd half start to alternate your pace, increasing pace for 25m then back to control for the next 25m. Rest 45 Seconds between the 300 efforts then 2mins after each set. For the cool down try using a reversal of the warm up. Over 400m alternate your pace for the first half, increasing pace for 25m then back to control for the next 25m. For the second half focus on lengthening out your stroke to relax and cool down.